Let us help reduce the pain of your business planning! As we reach the end of another calendar year thoughts inevitably turn to the budgeting and planning process for the new year. Many, if not most, small businesses manage their financials on a cash basis. Whatever's left in the bank account at the end of the month is considered profit. This may work all the time there's some cash left over but in business that's not always the case. Regardless of whether it works or not it's not the optimal way to run a business. All businesses should operate against a budget. What's the plan both for income and expenses? What's left over is operating income but don't forget taxes and any interest expense. These have to be accounted for before arriving at net income. By developing a plan and comparing the plan to actual performance each month, business owners are empowered with knowledge that enables better decision making for the business going forward. Owners can't spend what's left at the end of the month if they have to invest in inventory for next month or hold back for a quarterly tax payment. With a budget, owners can account for and foresee upcoming expenses as well as compare how they did against the plan for previous accounting periods. This is the financial statement that measures a company's financial performance over a specific period of time and summarizes how a business generates its revenues and incurs its expenses. Also known as a "profit and loss" statement it's perhaps the easiest financial statement for non-finance disciplines to read and understand. This statement is also best used for comparing actual performance each month to planned (or budgeted) performance. 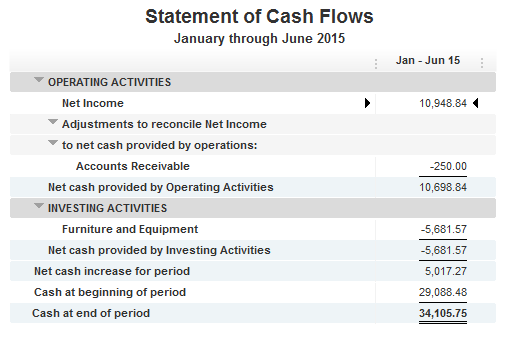 Typically a budget format should be the same as the income statement format facilitating simple comparison on demand. This is the financial statement that summarizes a company's assets, liabilities and shareholders' equity at a specific point in time. The statement shows what the company owns and owes, as well as the amount investe d by the shareholders and must follow the following formula: Assets = Liabilities + Shareholders' Equity. 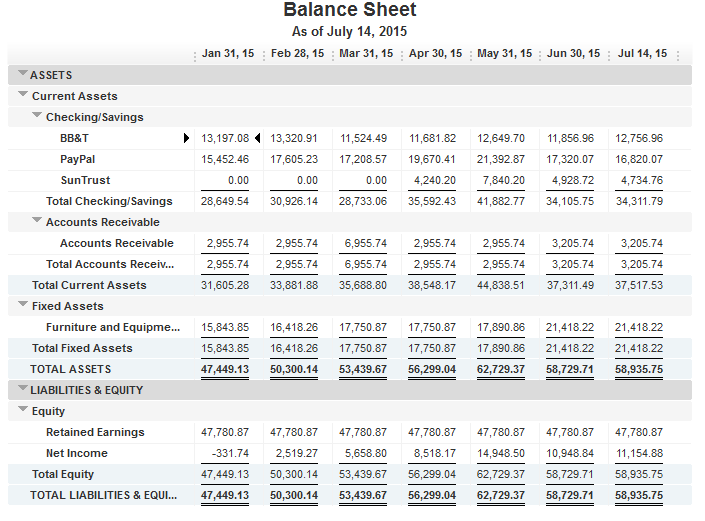 It's called a balance sheet because the two sides balance out. Accounts such as cash, inventory and property are on the asset side of the balance sheet, while on the liability side there are accounts such as accounts payable and debt. Typically the most neglected of the financial statements but arguably the most important as positive cash flows are essential to solvency. They can represent past activities, such as the sale of a product, or a forecast of future activities, such as investment in inventory or a reduction in accounts receivables as well as future sales. Cash flow is crucial to an entity's survival as having cash on hand ensures that creditors, employees and others can be paid on time. If a business doesn't have enough cash to support its operations then it's said to be insolvent. Companies with ample cash flow are able to invest the cash back into the business in order to be able to generate more cash and profit in the future. Why not try out our updated and enhanced financial planning and business projection workbook? Specifically designed for the office supplies industry and the small to medium size independent dealer, a unique financial plan can be created in minutes, complete with profit and loss, balance sheet and cash flow statements. This workbook is completely free and can save you hours of work as well as provide you with a set of financials suitable for presentation to a bank or any other lending institution. Download our FREE integrated Financial Planning Workbook.